Even though this book was published in 2011 I only bought it last year. And I only bought it because I found it it one of those discount books stores with an $8 price tag. I figured that was a fairer price than the $25 price sticker it bore when it was at full price. I just couldn’t justify paying $25 for a book that has just 18 pages and takes less than 10 minutes to read. 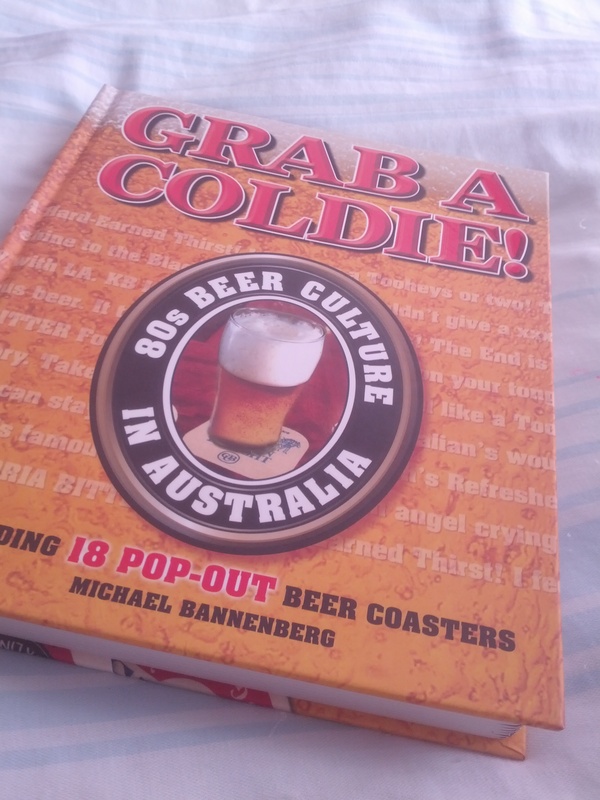 Presumably a large part of the cost is due to an unusual addition – each double-page spread in the book contains two retro beer-branded coasters that you can pull out (and use, if that takes your fancy). That couldn’t have been a cheap publishing process. Each double-spread is devoted to a different state or territory’s brewing history. The prose is short and sweet – usually nothing more than three paragraphs. The rest of each spread is made up of photos of bottles and cans from the 1980s, advertising posters and other images of beer ephemera. And those coasters of course. If you’re a bit of a beer scholar, there’s probably not much here you didn’t already know (though the book did tell me what the initials stood for in KB Beer – it stands for Kent Brewery, where the beer was made). But it still might be worth adding to your collection. If you can find it at a heavily discounted price.